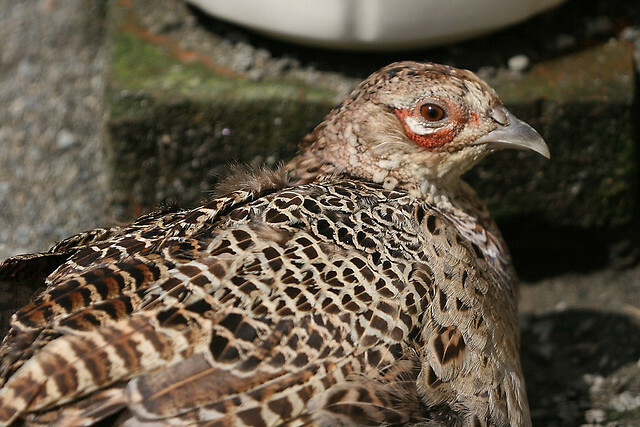 Golden Pheasants originate in China, but in Western Europe escapees may be found. The male is bright red, yellow, and orange. The female is brown. Both have a very long tail.